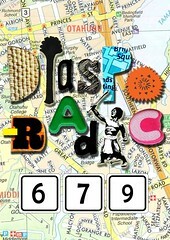 DIASPORADIC679 is up in six locations in Otahuhu and we’re so grateful to the awesome staff at each venue! 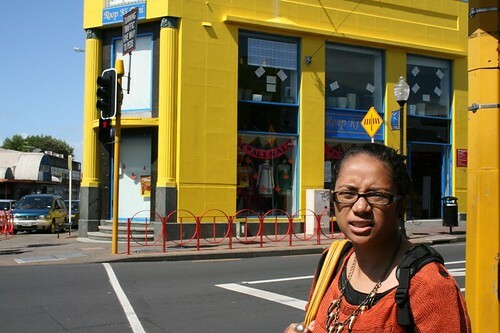 Dulcie Stewart outside Roop ki Rani where her work is just visible in the first floor window. 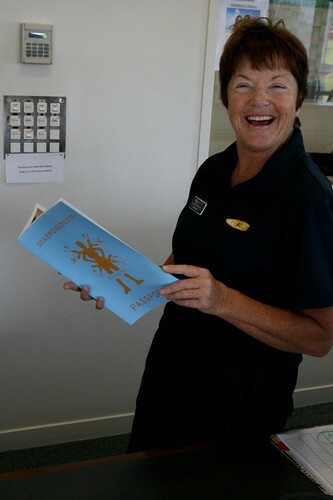 The lovely Christine Mercer, manager of the Otahuhu Recreation and Youth Centre! We’re so grateful that we were allowed to take the posters beyond the street facing window to the internal spaces too – vinaka vakalevu! Lovely staff member at Roti’s Corner, Food City Ethnic Food Court. The skux dudes at Red Rat! Thanks Rocky and crew!! And Star Hotel, where we will be having a well-deserved beer after the show comes down next week! Watch this space for more installation photos! Dulcie l can see your art work! Did you but your saree from Roop Ki Rani?